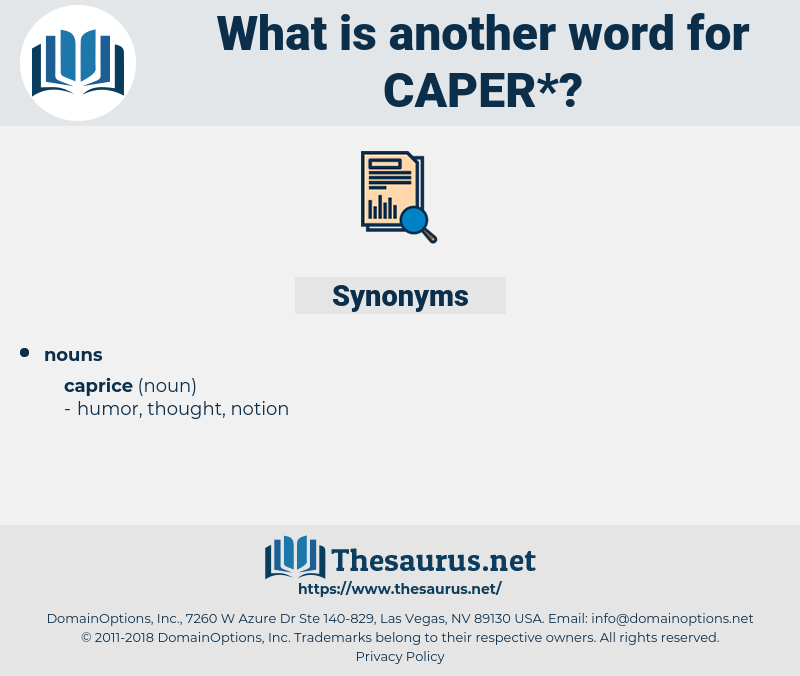 What is another word for caper? The flower- bud of the caper- bush, used for pickling. went places and do things. She will do a mischief if she can, But the string is held by a careful man, And whenever the evil - minded witch Would cut come caper, he gives a twitch. Go open a couple of vacuum tins while I get into my armor - I'm going to bring this caper to a close. 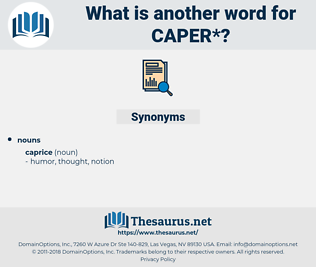 Capparis Flexuosa, Capparis Cynophallophora, common caper, Capparis Spinosa, native orange, Capparis Mitchellii, caper tree, Jamaica Caper Tree, bay-leaved caper, native pomegranate, Capparis Arborea.